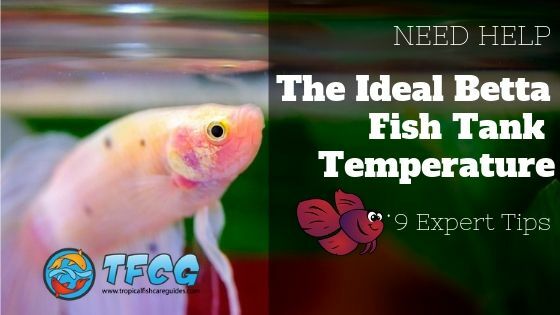 9 Expert Tips To Get The Ideal Betta Fish Water Temp - Super Easy! It’s a common belief that Betta fish are low maintenance and don’t need any special attention or care beyond putting them in a small tank. While Bettas are hardy and adaptable, they still need specific conditions to survive and thrive long term. Originating from the rice paddies and marshes of Southeast Asia, Bettas are tropical fish and they need tropical conditions, including temperature, pH and water quality. In this article, we’ve compiled a list of 9 expert tips on maintaining the ideal Betta fish tank temperature and water quality. 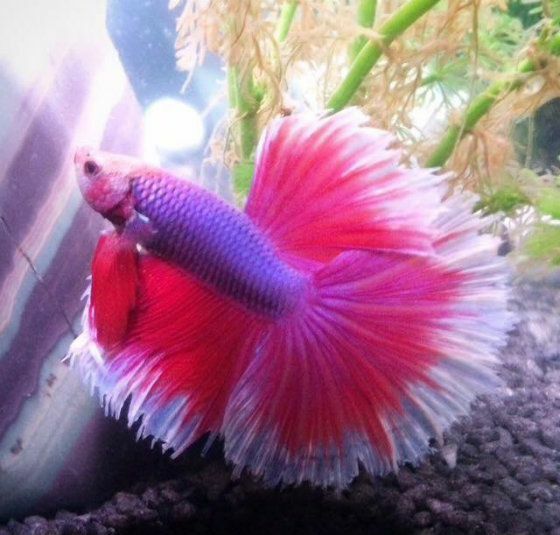 What Should The Ideal Betta Fish Water Temp Be? The ideal Betta fish tank water temperature range is around 78-80 degrees Fahrenheit or 25-27 degrees Celsius. Bettas can certainly survive outside these temperatures in the range of 72-82 degrees F, but this can cause a wide variety of health problems. Too Cold of a temperature can cause your Betta’s metabolism to slow to a crawl, and will make them lethargic and prone to disease. 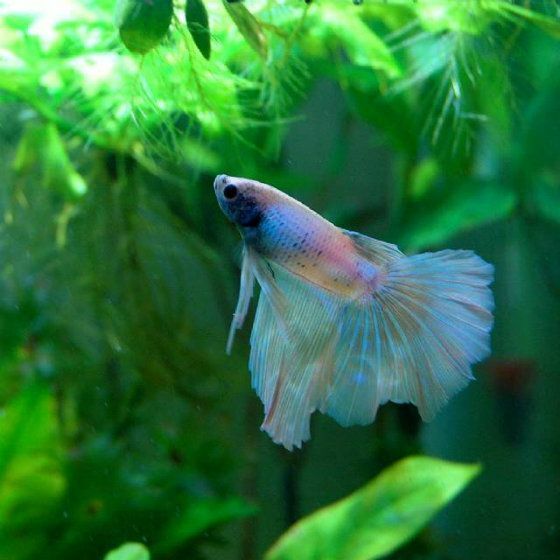 Too Hot of a temperature will boost your Betta’s metabolism and make him age too quickly. 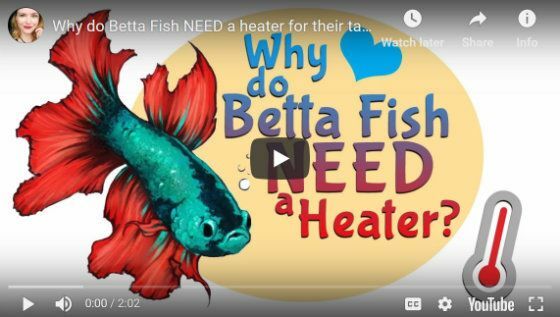 This helpful video shows the importance of maintaining the proper temperature in your Betta tank. It’s important to keep your Betta’s temperature and water quality within the ideal range, but how do you make sure that happens? One of the most important things you can do to maintain good water temperature for your Betta is to pick the right tank size. 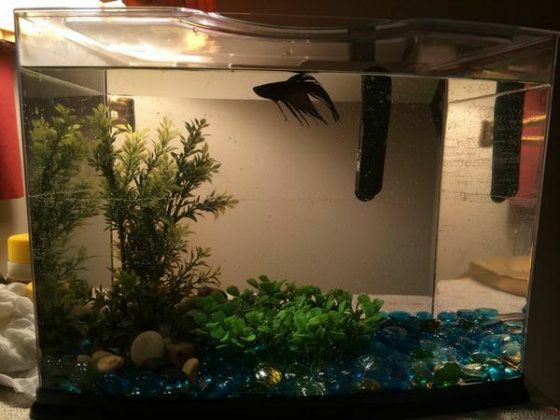 Your Betta’s tank should be at least 2.5 gallons, and a tank larger than 5 gallons is even better. Smaller tanks below 2.5 gallons will fluctuate temperature too rapidly and will make it difficult to use a heater without harming your Betta. Larger tanks are better able to maintain a set temperature and make it easier to regulate water quality. Unless you like to keep your room temperature at 80 degrees, you’ll need a heater to get your Betta tank up to the ideal range. Make sure you get a heater that’s good and reliable. While you might be able to save a few bucks getting a cheap heater, it’s worth the gains in reliability to spend a little more to get a high-quality one. You’ll also need a good thermometer to monitor your tank temperature. You shouldn’t rely only on your heater’s thermostat, and a thermometer will help you make sure your tank temperature is where you want it. Bettas will die quickly if they are exposed to rapid temperature fluctuations or extreme temperatures, so a thermometer is crucial. Like all fish, Bettas are very sensitive to temperature changes, and rapid fluctuations can stress them out and even kill them. If you find that your Betta’s tank temperature is a little high or a little low, it’s better to adjust the temperature gradually. Your fish can survive outside the ideal temperature range for a little while, but it may not survive a sudden change to its environment. If your tank is outside the ideal range, slowly make adjustments over a period of several days. When performing a water change, make sure the new water you are adding is the same temperature as the existing tank water. When introducing your Betta to his tank, float the bag he came in for a few hours to let the water temperature equalize before dumping him in. Another important piece of your Betta tank environment is the pH or the level of acidity in the water. Betta fish prefer a pH that is neutral (7.0) or slightly acidic, with an ideal range of 6.8-7.4, but they can survive in water with a pH of 6.5-7.5. Get a good pH test kit and test the pH in your tank at least 1-2 times per week. Many test kits come with bottles of pH up and pH down that will allow you to adjust the pH if it is outside of the ideal range. But like temperature adjustments, any changes to pH must be done gradually to avoid shocking your fish. Tap water high in chlorine and heavy metals are extremely toxic to fish, and Bettas are no exception. When putting new water in your Betta tank, it’s important to make sure that it’s the right kind of water. Bottled water can be a good option, but perhaps the best choice is tap water treated with a water conditioner to eliminate chlorine and other harmful chemicals. The big advantage of using tap water is that you can combine hot and cold water to get it to the exact temperature that you need. This will let you add new water that already matches your tank temperature so you won’t shock your Betta. Even though Bettas are freshwater fish, adding a little aquarium salt can keep your fish healthy and help prevent common parasites and fungi from developing. Just make sure you don’t add too much, and dilute the salt in water before adding to the tank. Direct contact with salt can burn your Betta. 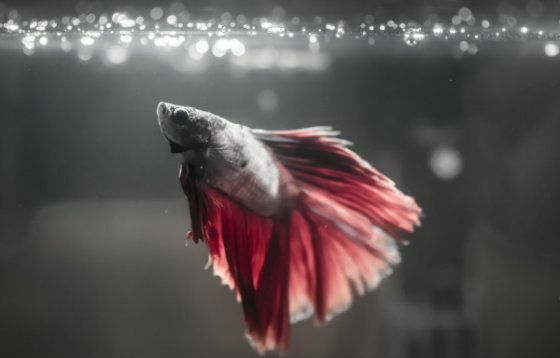 It may be strange to think that how you feed your Betta can have an impact on the water quality in his tank, but it certainly can. Overfeeding your Betta means that extra food and additional waste will settle to the bottom of the tank, decompose, and release toxic compounds into the water. This can lead to disease and other issues. Bettas should be fed no more than once or twice a day, and it’s beneficial to build in one “fasting” day into their weekly eating schedule. 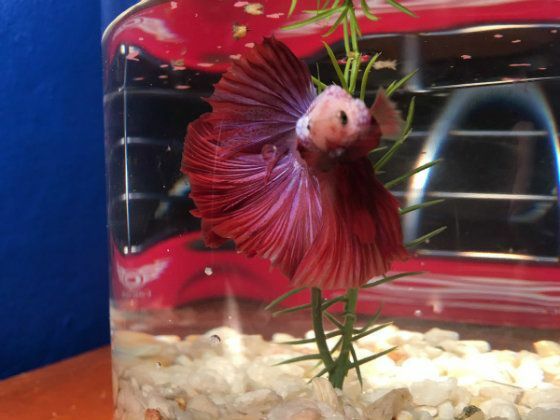 Betta’s stomachs are about the same size as their eyes, so feed them no more than that amount at each feeding, typically about 2-3 bloodworms, brine shrimp, or soaked pellets. Even the most well-planned, well-filtered, and well-cycled tank needs a water change every so often. Over time, waste and harmful compounds such as ammonia and nitrites build up in your Betta tank’s water, and performing a partial water change helps brings these back down to acceptable levels. 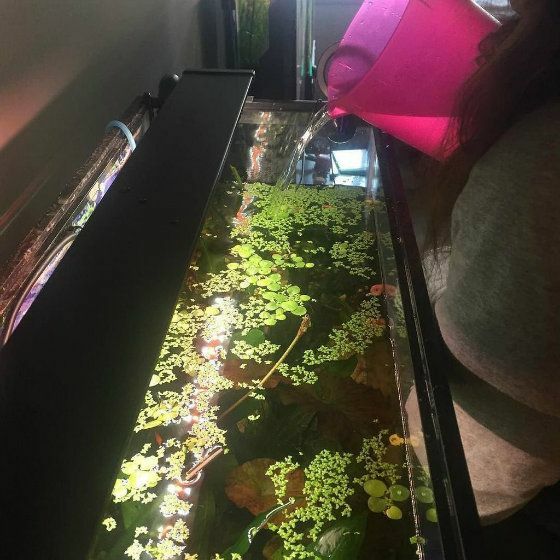 The amount and frequency of your water changes depend on the size of your tank and whether or not you have a filter system and a proper nitrogen cycle. Smaller tanks without a filter may need as much as a 50% water change every other day. If you have a larger tank with a filter, changing out 10-25% of the water every week should be fine. Cycling your tank refers to establishing a proper nitrogen cycle in your tank. This means establishing colonies of beneficial bacteria in your tank’s substrate and in your filter media that feed on harmful compounds in the water, such as ammonia and nitrites. 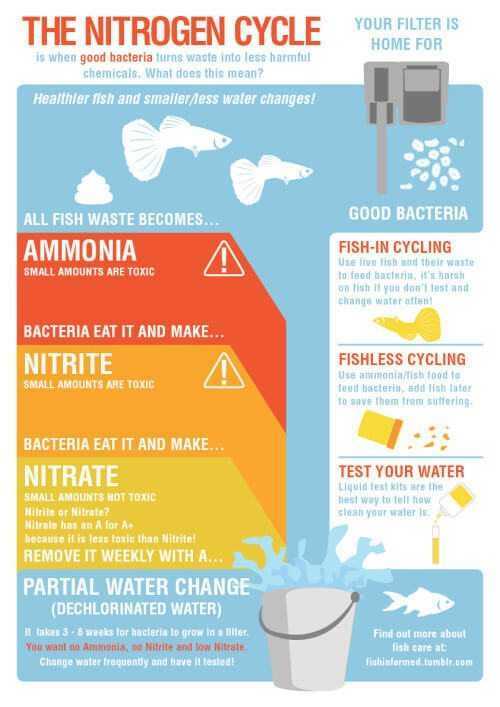 Once your nitrogen cycle is established, your ammonia levels will stay somewhat under control without conducting water changes and your tank will be a much healthier and more natural environment for your Betta. It’s true that Betta fish are relatively easy to care for, but they are tropical fish that need to be in the right temperature, water chemistry, and environment in order to be at their best. Having the right equipment and following a few simple maintenance steps regularly make owning a Betta a fun and rewarding experience. If you follow these 9 pieces of expert advice about ideal Betta fish tank temperature and water chemistry, you should have a happy, healthy, and long-living Betta to bring you joy each day.